If you make the first job interview cut and get asked to return for another look, congratulations are in order. But it’s important to remember that you’re still competing with other candidates, many of whom will be just as qualified as you. While first interviews separate likely candidates from ones who simply aren’t up to the job, second interviews are to evaluate personal style, feel for the job, fit with colleagues and management, and commitment to the company’s philosophy. In this second round you’ll likely be interviewed by several senior managers, both inside and outside of the department you’re applying to work in. You’ll likely meet with some of your potential new team members too. Although you have been successful and made it past the first cut, don’t take anything for granted. You need to prepare throughout the entire recruiting process or risk losing out on a potential offer. Your competencies, experience, skills, and “fit” are still being evaluated, even at the stage of a second interview. They dig deeper into your technical skills, and make connections about how you’d add value and solve issues in the department. If you know the exact job requirements and expectations, you can really shine, because you can describe your experiences that addressed those things in past jobs and discuss the results you achieved. Hiring managers use past behavior as an indicator of future success. Research and preparation are critical to your success on the second interview. Obtain the names and roles/titles of the people you’ll be meeting. Look them up in a general online search and on LinkedIn to try to get a sense of what exactly they do and, if possible, who they are and what they like to do. You may also learn things like what university/colleges they attended, which can help establish a more personal connection. If you are working with a staffing firm, ask your advisor questions about the people you may be meeting. What kind of personality do the people conducting the interview have? Do they have any hot buttons? What do they see as the challenges of the role? What are they looking for? Try to obtain as much insight as possible prior to the second interview when playing to win. Re-research the background of the company. Know recent news events and press releases. Understand who the competitors (strength and weaknesses) are and what the competitive landscape looks like. Try to get an understanding of what the present business challenges may be for the business and think about how you could make a positive contribution to help the business moving forward. Show the client in the interview that you have been a student of the company and the industry. This will score you favorable points. Nothing in the interview is as important as coming prepared with lots of stories of your own past job accomplishments. They should address specifically any question likely to come up about your skills and experience. Be prepared with specific, concise and detailed story lines. If you’re a candidate for a managerial role, you might be asked to tell of a time when you were working with a group and one member didn’t agree with everyone else. What about this job interests you? What are two of you greatest career accomplishments? What is your philosophy on teamwork? If you get this job, what would you do the first year to establish yourself? Give an example of your problem-solving abilities. What kinds of situations/people annoy you? How do you deal with them? When answering questions, you want to convey how you handled similar situations, the actions you took and the results. Give different examples to the different people you meet with. They’re going to convene afterward to discuss you, and you want each of them to bring something the others didn’t hear. If you tell the same story five times, it will look like you don’t have any variety of experiences. It’s acceptable to pause and consider an answer, but don’t be hesitant. You need to be familiar with your own background. That’s the bottom line. Be brief and concise in all your answers. Don’t ramble or veer too far off-topic. 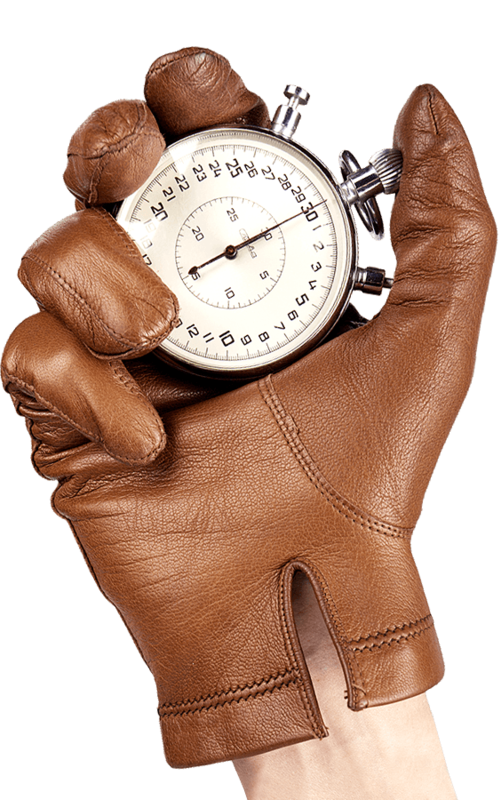 There’s no stopwatch running, but try to keep each response about two minutes or less. You can prepare to do so by practicing answering potential questions beforehand. Ask for business cards at the start of each meeting. This will come in handy for emailing thank you notes (which is a mandatory step), but it also helps if one of your interviewers asks who else you’ve met with. That’s a common way for them to break the ice. Also come armed with questions that are different from the ones you asked in the first interview. Good questions demonstrate your knowledge of the company and show that you’re interested. And don’t forget that it’s a two-way street. Expect to engage in salary negotiation. When asked what your salary expectations are, your first response should be: “What is the range of salary and benefits usually paid for this position with someone with my experience?” This will serve as the starting point. You need to be prepared to talk about compensation and benefits. Make sure that you know what your skills are worth, based on your research regarding salary trends and calculations. If you’re not happy with the salary offer, don’t express this during the interview. Take some time to think it over and weigh your options. Perhaps the health plan is superior to other offers you have received, or the bonus is larger.